EVO black matches the shining parts of the receiver with some matte surfaces. The black receiver is very elegant and the engraving is hand filled by blue ink. The entry-level configuration of the Si12 family is anodized with walnut stock and forearm. The black finish receiver create a nice contrast with the chromed bolt. A useful shotgun like Si12 can propose a modern design and quality standards of Italian production. Marocchi is close to 1 century shotgun production tradition. Over & Under production always represent our heritage and our products reach the best results in terms of sales and scores during our history. Producing our fabulous Boss locking system Contrast, model 99 and model 100 we had the know how to evolute our model 03 improving several features. It has been developed over 2 years of tests, drawing and investments. EVO has a new ejection design: more strong and more precise than ever! 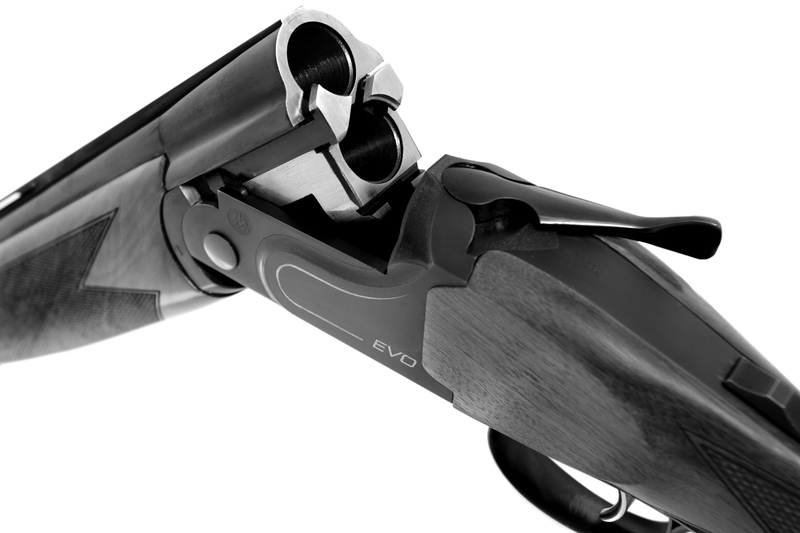 EVO fits our fabulous smooth boring barrels sets for high performances improving the pattern and reducing the recoil. EVO is our evolution in Over & Under segment. EVO Sporting and Trap is available in black receiver or nichel receiver. The surface is hand polished by the skilled artisan and sandblasted making the frame matte with some accent polished. Caliber	 12 ga 20 gauge .410 ga 28 gauge 20 gauge 12 gauge, kombi or double rifle 222R-223R-30.06-308W-6,5×55-7x57R-8x57JRS-9,3x74R 12 ga.
Find out our story: a journey through past to look at the future. We are active in 50 countries: find your nearest Marocchi dealer!